Remember that time when Disney was still making kids movies that were also puzzling, terrifying, smart, edifying, and ahead of their time? Well, it was some 30 years ago and “Flight Of The Navigator” is one of those unfairly forgotten movies. Alongside “The Goonies”, “The Watcher in the Woods”, “Labyrinth”, “Something Wicked This Way Comes”, “Short Circuit” and “E.T. the Extra-Terrestrial,” this 1986 movie was one of my favorite treats when I was still a kid hungry for adventure. Flight of the Navigator follows a kid who goes on an adventure with a sentient alien spaceship, and now, according to Variety, it is being resuscitated by the “Lucifer” series creator, Joe Henderson. 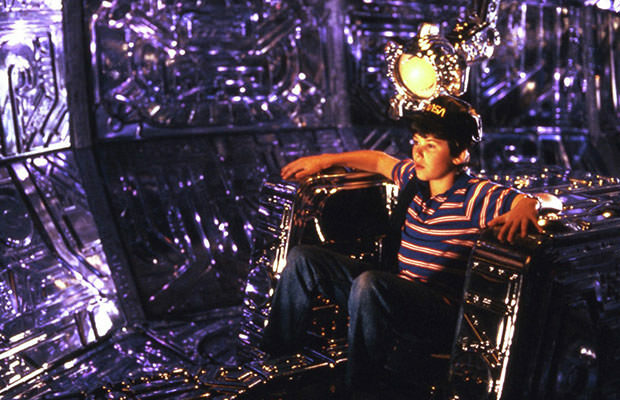 The original Flight of the Navigator movie sees David Freeman, a regular kid who gets abducted by a highly advanced and sentient alien spacecraft equipped with an AI named Max (voiced by Paul Reubens). David becomes the navigator of the craft in order to help bring Max and his alien creatures back to their home. During their adventure, David teaches Max about humans through interesting pop culture references and they have a lot of fun, but when he finally comes back home, David realizes he’s actually been gone for 8 years. Yep, back in the 80s the concept of time dilation was totally OK for a kids movie. We miss those days, and if this spells a semi-return to the dark side of Disney, by all means do bring it on.